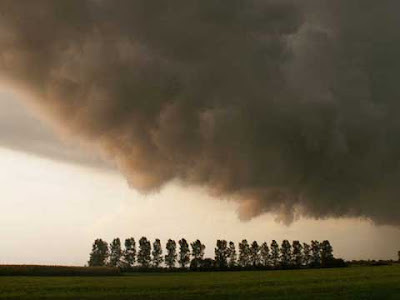 Keimpe Bleeker took this picture of a very low hanging cloud in Friesland, The Netherlands. It looks like a face is trying to kiss the ground. Freaky cloud apparition!